Laid down in December 1942 at Bethlehem Steel Shipyard, Hingham, MA. 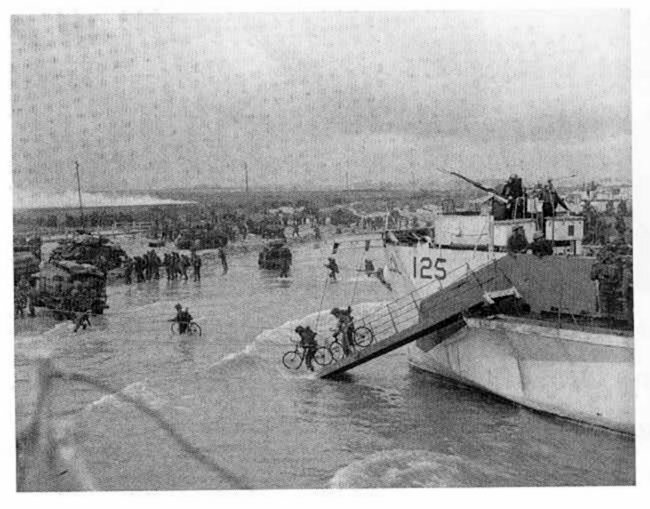 Troops Embarked, Highland Light Infantry of Canada A Co. and 1st Platoon D Co.
Damage Sustained in Landing, Holed by obstacles in the bow causing 15° list which had to be corrected by counter flooding of ballast tanks. 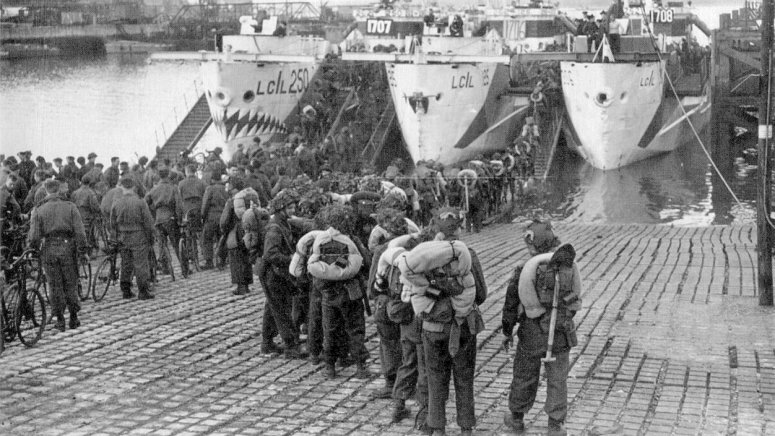 104k HMC LCI(L)-250, HMC LCI(L)-125 and HMC LCI(L)-306 embarking Canadian troops of the Highland Light Infantry in the United Kingdom for the trip across the channel to the Normandy invasion beaches. 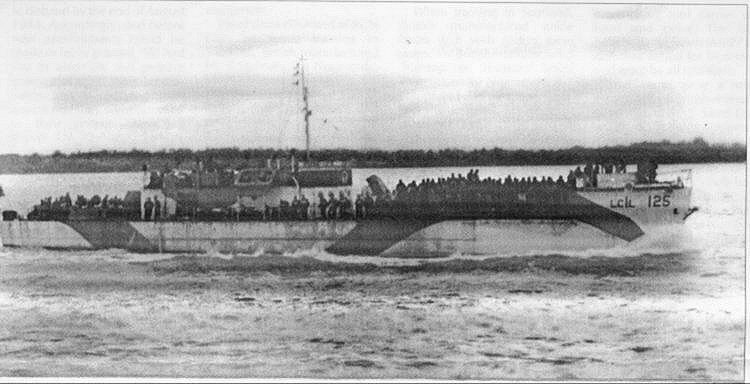 33k HMC LCI(L)-125 off the invasion beach at Normandy, D-Day, 6 June 1944.